They said measures that relied less on individual responsibility should be used to tackle the problem. The report said there was a “steep economic toll”, and the proportion could rise to almost half of the world’s population by 2030. The financial costs of obesity are growing – for health care and more widely in the economy. By causing illness, obesity results in working days and output lost. The researchers argued that a range of ambitious policies needed to be considered and a systemic rather than piecemeal response was essential. “These initiatives would need to draw on interventions that rely less on individual responsibility and more on changes to the environment,” the report said. If the right measures were taken there could be long-term savings of £760m a year for the NHS, it added. The initiatives assessed in the report include portion control for some packaged food and the reformulation of fast and processed food. It said these were more effective than taxes on high-fat and high-sugar products or public health campaigns. Weight management programmes and workplace fitness schemes were also considered. The report concluded that “a strategy of sufficient scale is needed as obesity is now reaching crisis proportions”. 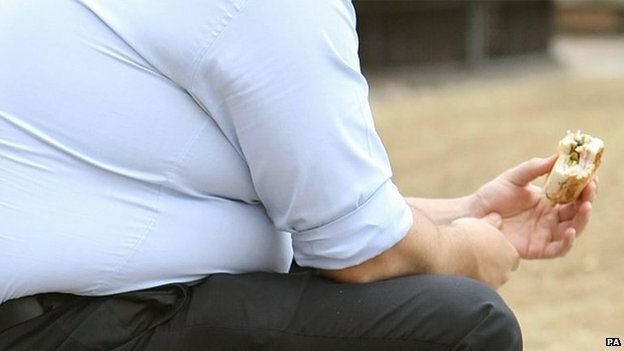 The rising prevalence of obesity was driving the increase in heart and lung disease, diabetes and lifestyle-related cancers, it said. Dr. Tedstone said obesity required action across national and local government, industry and society as a whole, and there was “no single silver bullet solution”. The report was produced by McKinsey Global Institute, the business and economics research arm of consultancy firm McKinsey & Company.